You may have relatives or friends in a foreign country, and you may have previously visited a foreign country and established business relationships there. These are good starting points for finding contacts. Foreign consulates in your country have links with business who might want to distribute their product offerings in your country. So, consulates can link you up with foreign partners you can do business with. You can also establish contacts by searching the web with relevant queries. Sometimes, you can find buyers and manufacturers on the same platform. After getting some contacts, it’s time to reach out to them. A massive email campaign is best. Send an email introducing your company and your intent to import products from the manufacturer or supplier. Tell them the little you know about them, and ask if they would be interested in a possible business relationship with you. After signifying their interest in their reply email, send another email to verify whether they have the exact goods you want to import and how they operate their business. Request any information you need as well as samples or a catalog of the company is a manufacturer. Another important thing to remember when starting an import export business is to begin a mailing campaign so that you can market your business to your foreign contacts. 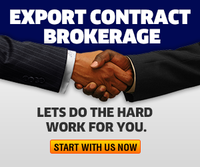 Tell them about the advantage of selecting your firm if they choose you to be their import-export agent. 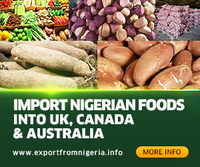 You can inquire from your contacts in those countries, the names and corresponding addresses of companies that would like to sell their goods in America, Nigeria or wherever you are situated. After you have obtained names of potentials clients, speak to them regarding marketing their products. Tell them about trade shows you wish to join as well as your meetings with distributors and sales representatives. Your clients would therefore build their confidence and trust in your import export company. If you are an importer, you must seal the deal before your goods will be shipped to you. 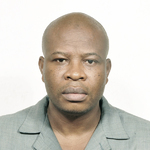 If you are an exporter, you must agree with the buyer and provide the goods upon receiving the money. After signing an agreement with the supplier or manufacturer (as drawn by your attorney), you will be granted the right to import the goods into your country or export from your country; as one of their designated import / export partners. The manufacturer will pay you the specific commission quoted to the distributors on top of the price of the goods. And you will be given catalogs and samples for your use in distribution. This individual or firm provides routing information, books cargo space, and quotes shipping rates. You can find freight forwarders easily by checking directories of business in your state or country. In conclusion, you need to consider the commission you will get from the manufacturers; that’s if you decide to start as an agent. This will however depend on your sales. Make sure to write agreements regarding your commission. As an agent, you can ask for a 10% commission fee from a product’s sales price. Another important factor to starting an import export business is to sign agreements that you have established with the manufacturers. You must make sure that the company you choose is legitimate and reputable. You can tell your lawyer to make a contract regarding this matter. I actually wanted to start with palm oil exports and needed buyers from India. I am a Kosso and Apa wood supplyer base in Nigeria and I need foreign buyer from China,veitinam ,India and others country.